The Exploder yard is also with the F18 OP hull, routed model was painted this Monday, now sitting on the final female molds, plus some interesting devels coming for the A slider and next gen 18' & 20' foilers. 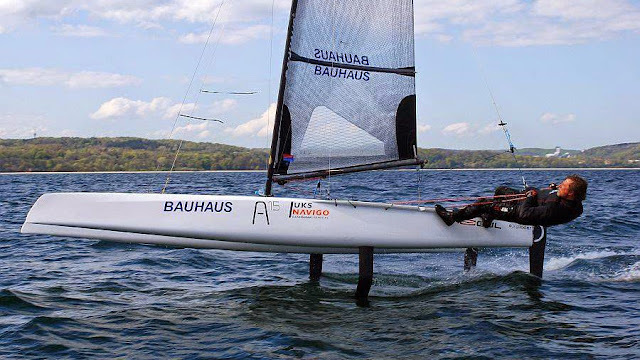 Major news for me this weekend was having Hervé Ledue, 2013 French Champ going for the foiling mode (pic left), great attitude from Hervé. ,Way to go! If you have the chance just try it, then you can go sail or race the A-Classic again.. but give yourself a chance to fly, you wont regret it , trust me. Club Nautique Berrois at Plage de Champigny, Berre l'étang with a great number of 57 entries till now. 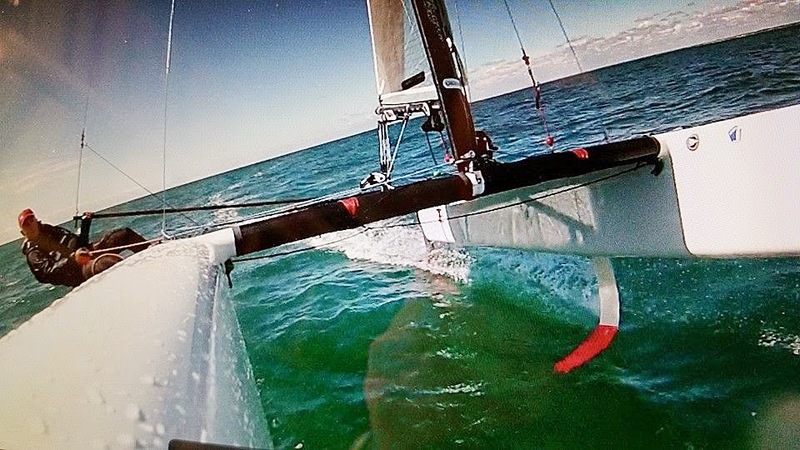 PJ countryman Piet Saarberg launched a new version of his spreader rake on the water tuning system, and continue the Vision R&D testing flight modes. 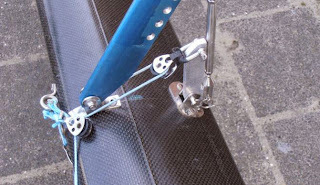 Details of the new spreader system at www.a-cat.org/?q=node/551 . USACA is providing great info on a series of sailors profiles at their FB page. Remember to check the official A-Class website www.A-cat.org & FB Page , where I upload every single news from the As World.